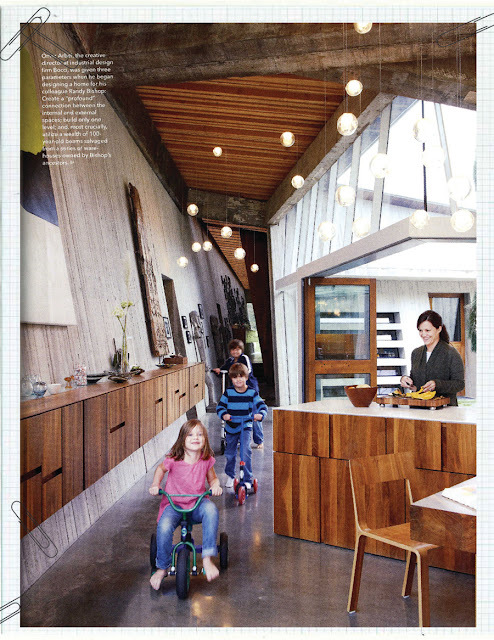 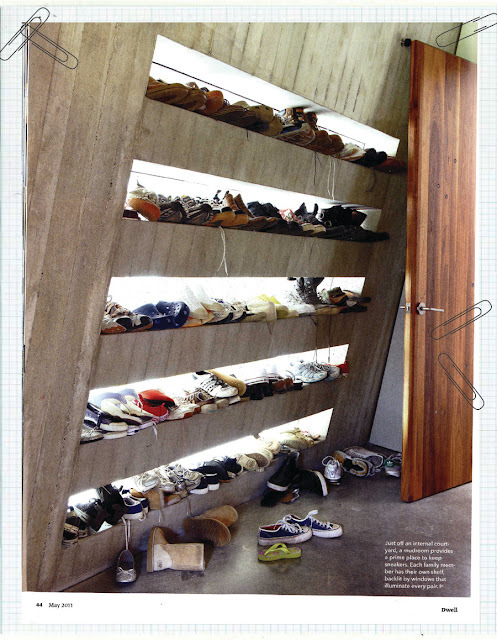 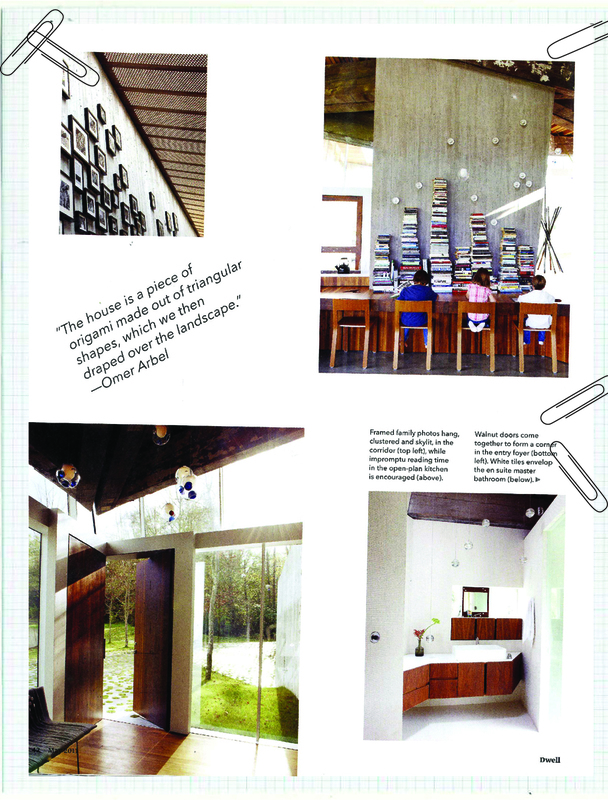 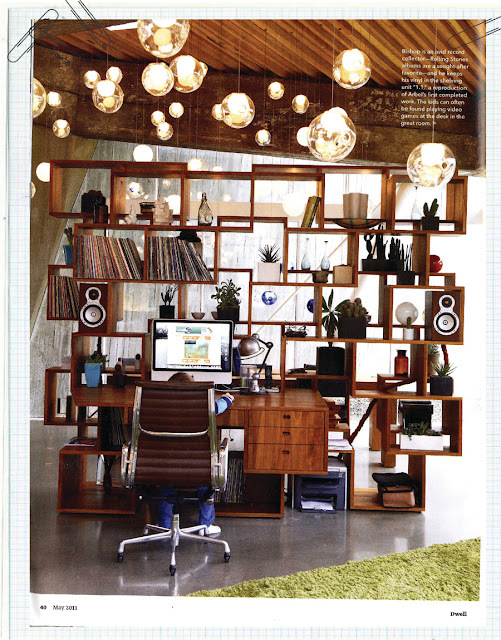 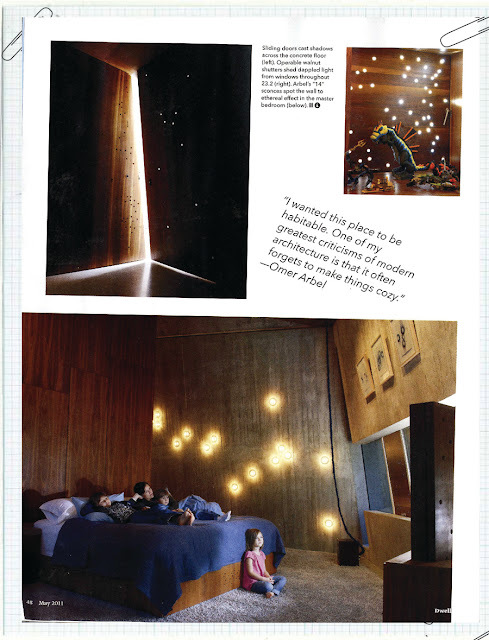 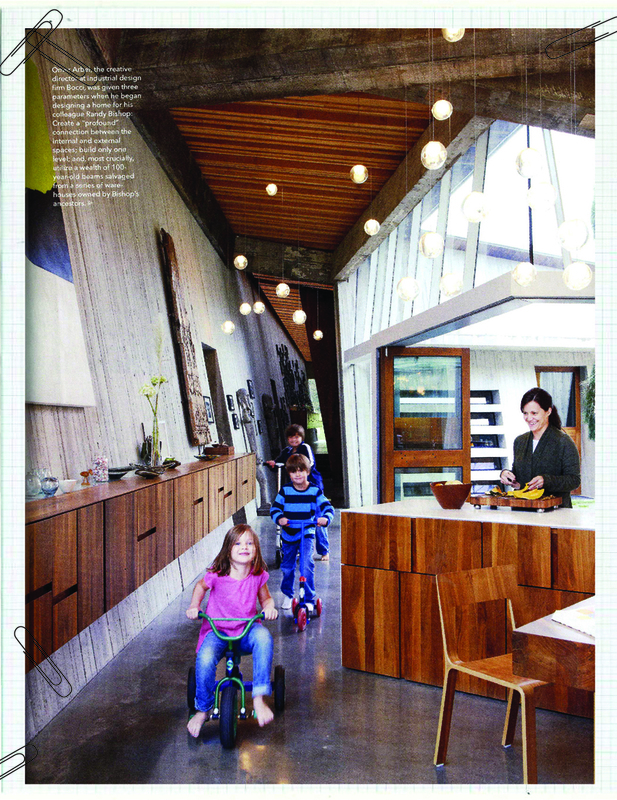 I am enamored with this house featured in the May issue of Dwell. 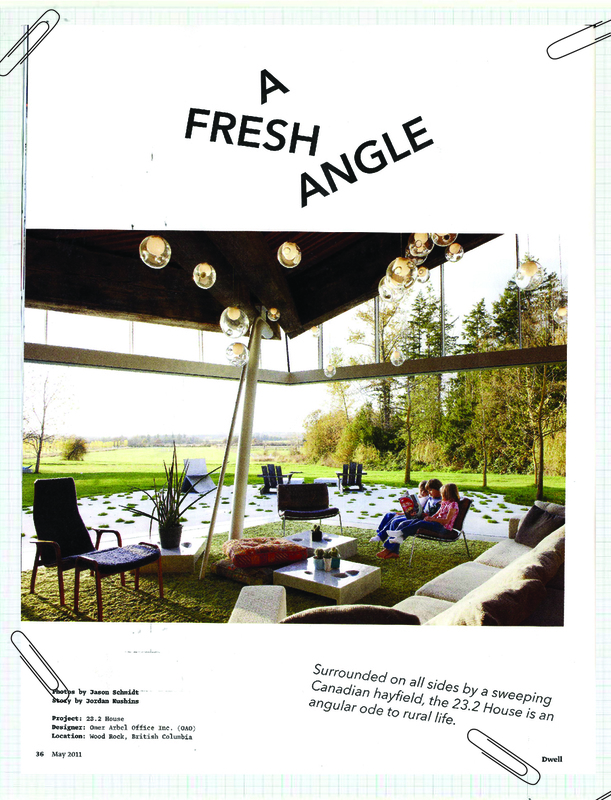 It is in Canada! 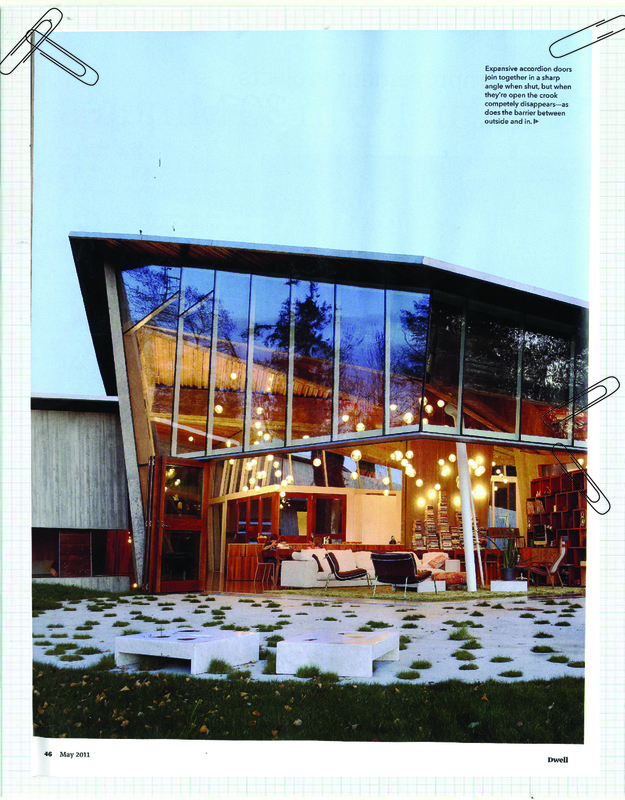 The use of materials in combination with the design is really unique. 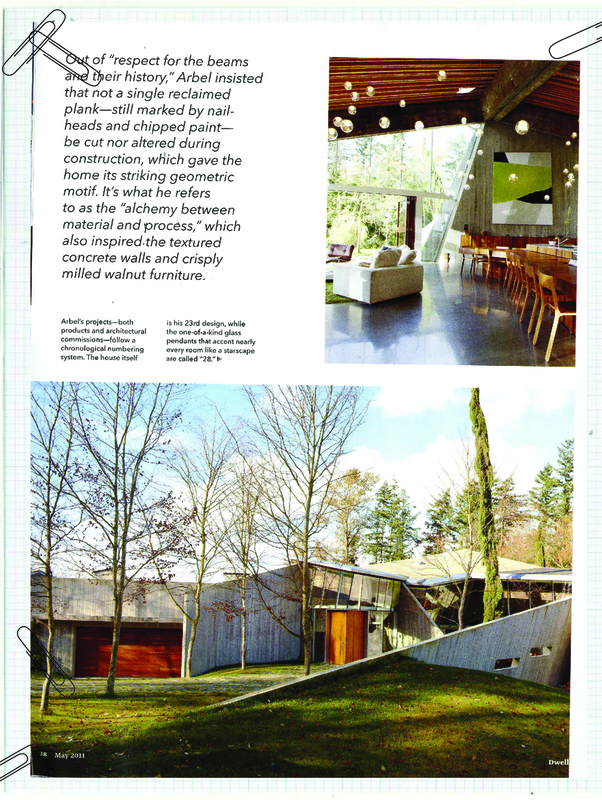 The rug they have chosen looks like grass. I like the built in table with stacks of books....a new take on a bookshelf. The family shoe rack....still a bit messy but love the idea. 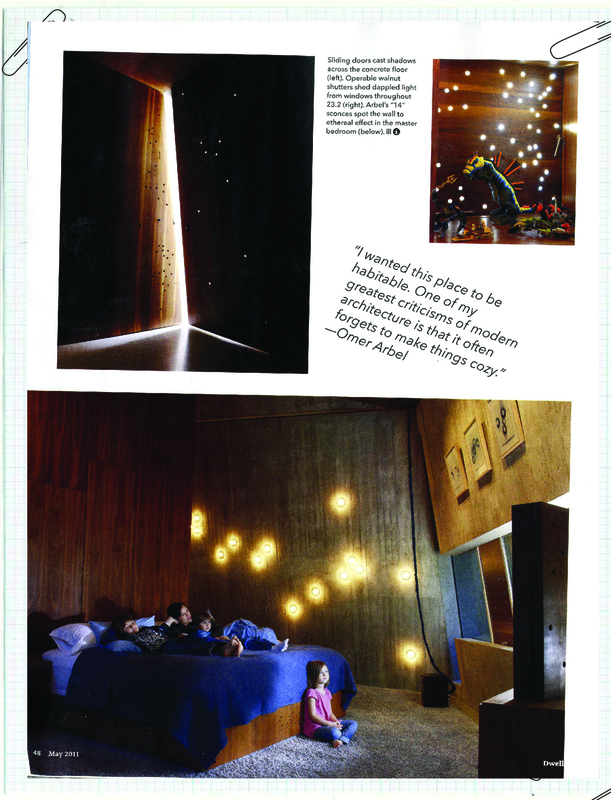 Lights integrated into the house design....creates a great ambiance and is art at the same time. Circles of grass mimic the lights inside....outstanding indoor/outdoor living.